Dr Samantha Burgess is head of marine policy at the WWF European Policy Office. 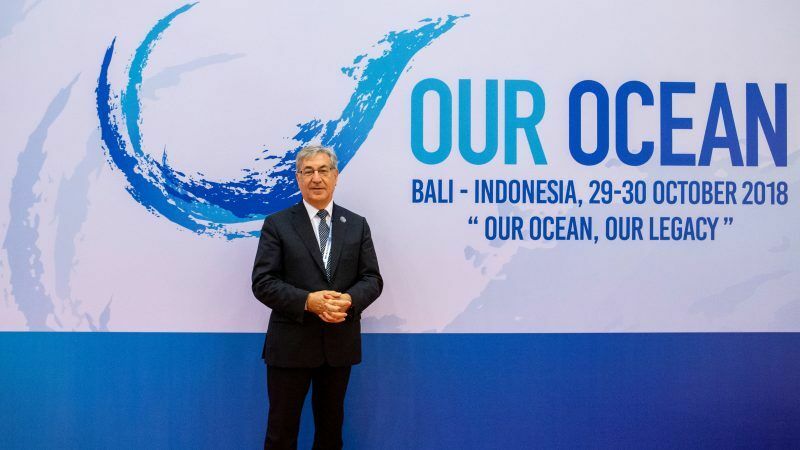 According to Karmenu Vella’s speech at the world’s first Sustainable Blue Economy conference in Nairobi this week, the EU is dedicated to supporting sustainable growth, both internally and internationally. Addressing over 10,000 delegates from across the globe, the Environment, Maritime Affairs and Fisheries Commissioner affirmed the EU’s position to conserve our ocean and protect the economies, industries and cultures that depend on it. The question is: how does the EU ensure it doesn’t falter on these commitments as we stand on the eve of such a critical year to so many ocean-related goals? We have never had more political exposure on the plight of the ocean, and this week’s conference is further indication of the importance of ocean health and of a sustainable blue economy to financial, environmental and social well-being. And yet, our ocean remains in crisis, with more than 33% of global fish stocks overfished and up to 90% of the world’s coral reefs poised to vanish by mid-century. 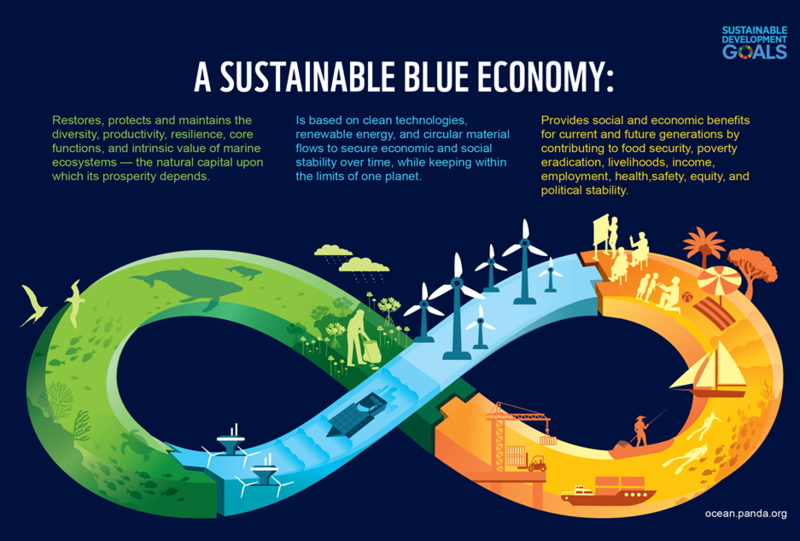 These trends set a stage that puts the future of blue economic growth in jeopardy. Billions of people worldwide rely on our ocean and the blue economy offers a rich selection of marine-related activities and opportunities. The UN Food and Agriculture Organization (FAO) estimates that fisheries and aquaculture make up the livelihoods of up to 12% of the world’s population with the the EU fishing fleet alone landing €7.2 billion worth of seafood in 2015. The International Maritime Organization has found that maritime transportation handles over 80% of global trade by volume; in Europe, 74% of the volume of goods which enter or leave the market do so by sea. As the impacts of human activities across the blue majority of our planet have become more widely understood and openly acknowledged across policy, economics and development, global institutions, industries and organisations responded. The 2020 deadline for the Convention on Biological Diversity (CBD)’s Aichi Biodiversity Target 11 and the United Nations’ Sustainable Development Goal (SDG) 14 are now right around the corner; key EU policies have aligned themselves with this target date, including the Common Fisheries Policy objective to achieve sustainable fisheries and the Marine Strategy Framework Directive objective for Good Environmental Status in European seas by the same year. However, at the close of the penultimate year to 2020, WWF’s Living Planet Report 2018 demands a sobering moment of reflection by the immensely complex and intertwined industries which make up the blue economy. A study by Sea Around Us and WWF presented in the report shows that areas of moderately heavy to heavy fishing intensity now surround every continent (except Antarctica), affecting all coastal areas and many regions within the high seas. The implication of these levels of fishing activities mean that coastal marine ecosystems are degraded and have been potentially exposed to long-term damage by heavy fishing gear, such as trawling. This has repercussions not only for future fishing industry prospects in places like the Mediterranean Sea whose fish stocks are already 90% over-exploited, but also on marine biodiversity and thus on coastal tourism. In the EU, coastal tourism is responsible for 60% of jobs associated with its total blue economy and generated over €40 billion in 2016. Consequences of these kinds of unsustainable practices ripple throughout the blue economy pool, impacting further industries like marine renewable energy and maritime transport. At last month’s Our Ocean conference in Bali, the European Union once again provided leadership on this issue and declared highly ambitious investment and sustainability targets across multiple maritime sectors, committing to a €18.4 million investment to promote a sustainable blue economy in the EU. But with some of the world’s most heavily impacted and overfished waters and developed coastlines, and in light of recent inaction by the EU to stop illegal trade in high value fisheries such as bluefin tuna, together with decisions to maintain business-as-usual in waters facing multiple species collapse from overfishing, it is difficult to see the EU walking its talk. The EU’s commitments as declared by Vella at this week’s Sustainable Blue Economy conference entail learning from best practices for investment, conservation, coastal resilience, new technologies and mutually beneficial partnerships. Today, the European Union’s blue economy generates over €566 billion and employs nearly 3.5 million people. Those numbers cannot be sustained, nevermind grow, if EU fish populations collapse, if unsustainable waste reduction plans are not harmonised across the bloc and if effective protection and management of our precious marine ecosystems isn’t enforced. WWF calls on the European Union to answer the global call for sustainable investment and development in the global blue economy, to stand by its work both at home and worldwide to champion sustainable fisheries and circular economies, and to preserve our ocean’s resilience in time for the 2020 deadlines.